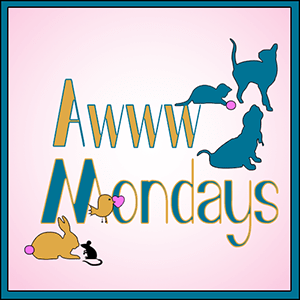 This entry was posted in Blog Hops, Book recommendations and tagged Awww Mondays, Bobby Bones, It's Monday! 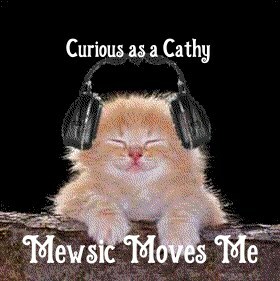 What Are You Reading?, Mewsic Monday, Ragind Idiots, Sammy by pilch92. Bookmark the permalink. I love it! Every once in a while you just need to cut loose and have fun with music. I’ve always been drawn to novelty songs, but this is the first I’ve heard of this guy. Thanks for the introduction! You’re welcome. Have a nice week. This sounds like a pawsome guy and a pawsome book. Fun music and we too aren’t familiar with him……thanks for telling us about him and sharing the videos. Sammy DOES look “awwww-worthy” with this book! I have never heard of him, but I will have to check out those books! I met Bobby Bones last season on AI. I hadn’t heard of the dude before then and then this year he showed up on DWTS. He isn’t the best dancer but he sure is a lot of fun to watch. Did you watch last week? If you didn’t you can stream the episodes. That’s what we do. I had no idea that he wrote the “Chick-Fil-A (But it’s Sunday)”. I remember from AI that his dad left and his mom was an alcoholic which broke my heart but I didn’t know the things you mentioned liked he never drinks. That’s really cool. You know I’m not much of reader but you peaked my curiosity about his story. I will watch for the Kindle version ($10) to drop a bit more before I buy it. I thank you for sharing your review and sharing his funny tunes! It’s great having you on the dance floor, my friend! Those sound like some interesting books. And the songs sound great too. Have a great day. I hadn’t heard of Bobby Bones, and I’m surprised now. Well, I don’t even have a Chick Fil-A or a Hobby Lobby where I live in upstate New York but I always seek out Chick Fil-A when I’m on the road. So…yes, I enjoyed these songs! Hobby Lobby Bobby has a good voice! I thought there was a Hobby Lobby in Albany , is that far from you? Albany is almost three hours away. The closest one I know of to me is in Big Flats, New York, which is over an hour away. The Chick-fil-A tune is a hoot. I love Chick-fil-A and the closest one to us is an hour away. And their summer peach milk shakes… ! I have never heard of Bobby Bones… I enjoyed your review and the tunes! Hobby Lobby Bobby… LOL! Sammy is definitely Awww worthy! What a fun start to the week! Happy Monday! Very nice. What a bunch of fun tunes. Thanks for sharing them. I’ve heard of and heard Bobby Bones but I didn’t know he was also an author. Of course I don’t usually read memoirs or self-help books. He sounds like a man who’s had an interesting life. Come see my week here. Happy reading! He seems to have many talents. I only discovered Bobby Bones a few years ago after my husband started working nights. I’d wake up with the radio still on (he always turned it off) and hear what was not the morning show I remembered. He – and his entire crew – are great. I don’t think I’ve heard of Bobby Bones. I’ll have to check out more info. Thanks for sharing! Sammy is always awww worthy. Love all the videos. Fun. Thank you. I hope you had a nice day too. Well now, that was fun but we hadn’t heard of him either! I guess he is not as popular as I thought he was. It is 🙂 I hope you have a great day too. Mom says no worries, she never heard of him either, but his music was a lot of fun. Sammy, you’ve got to look at the camera…we want to see your purrty face! Hobby Lobby is another place that doesn’t open on Sunday. Chick-Fil-A will under some circumstances, like during Florence when everyone was evacuating the coast. As I’ve said, they realize that there are times when keeping the Lord’s Day holy involves feeding His people. That is wise of them. Sounds like a very worthwhile, inspiring memoir. I haven’t heard of him but then that’s not surprising! The mom never heard of Bobby Bones either…until this last season of American Idol. He was one of the mentors. Yeah, the mom watches AI. Thanks for telling us about his books. I wish I had seen him on that. Actually, I’d never heard of Bobby Bones until now. He sounds very inspiring, and I’ll certainly be checking out his book. Thank you for always sharing such inspiring reads! is morning show is syndicated so you should be able to listen if interested. What a hard working guy! The song, “Low Places” is very well done. Sammy posing with the book makes him look like an intellectual. I never heard of Bobby Bones either but I did hear of the book Fail Until You Don’t. I guess I should look into buying the book. I will head over to your blog. I never heard of him. I’ll have to check out his books. He’s not just a survivor and a success, he’s talented and has a great sense of humor! Yes, he sure is talented. He’s on Dancing with the Stars this season! Sammy, you are aww-worthy no matter WHAT is in the picture with you! I’ve never heard of him so it must be a big litter box. Did a good job with Garth’s song though. MOL! 🙂 Yes, he sure did. We hadn’t heard of him but that book sounds pretty pawesome! Good job posing with it too! I’d never heard of this guy before. Some of our lives are just so much harder than others – and it seems like the same people are fighting over and over again – one thing piled on top of another. So hard to keep a positive attitude through that – and it sounds like he did! He has a very positive attitude and seems like a genuinely nice person. I used to listen to his radio show, but then our local station stopped carrying it. I did not know of his books though. That is too bad they don’t carry it. I just discovered ours does. I had never heard of Bobby Bones before reading about him on the Dancing With The Stars website, so my head’s been in the litter box, too! But those songs – even the titles -sure are funny! I’ve never heard of him either, but sounds like a good book! Hey, I know of Bobby Bones! I couldn’t believe it when I began reading your post and I thought, “Is she talking about the same Bobby Bones? ?” Yeah, I have been in Austin since 1991 and his early radio career is where I ended my radio career, at Clear Channel radio. I worked for the Classic Rock station (KPEZ Z102) from 1991-1994 and he worked for the Clear Channel sister station KHFI here in Austin, i think back in 2001. When I was at Clear Channel here, KHFI was a Top 40 station. I well remember the Bobby Bones Show in the mornings around here. I didn’t follow him though and I had no idea he had syndicated (very cool) or that he did those funny novelty songs (I LOVE his Chick-Fil-A (But It’s Sunday) song! — I was always irritated that Chick Fil A wasn’t open on Sundays; that and Hobby Lobby, of all things, and he did a song about that too! haha Love them waffle fries! I also didn’t realize he was a philanthropist. Good for him! That’s awesome. No clue that he had some books out too so thanks for the info on that! That is such a cool story. It makes sense that you have a music blog knowing that you were a dj :)I hope you have a nice weekend! I only recently discovered Bobby Bones when I saw an interview he did with Carrie Underwood about her fall and subsequent stitches – loved the videos you shared! And the book sounds intriguing! 🙂 Hope you’re having an awesome weekend! Thank you. I hope you had a nice weekend too. Of course Sammy and his book is aww-worthy. He’s a cutie.